First impressions go a very long way in the retail industry. If you own a retail property where customers visit regularly, don’t underestimate how important asphalt maintenance is for the overall look of your property. Chances are that most of your clients drive a vehicle on their way to your retail property. The first thing that they have to do when arriving is enter your retail property parking lot to park their car. If your retail property asphalt is in poor condition, your customers will quickly get a bad taste in their mouth about your business, even before they actually enter your retail location. So, rather than risking anything regarding the relationship with your customers, team up with our experienced asphalt maintenance team at Seal King Professional Sealcoating. As a retail property owner, there are a lot of out of pocket expenses that you have to deal with throughout the year. For some retail property owners, they’ve let their existing asphalt wear down and become damaged because of how much it costs to replace asphalt. 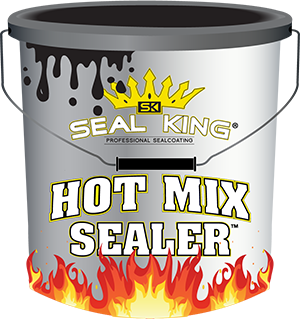 Well, at Seal King Professional Sealcoating, we want you to know that there is a much more affordable option available for you. 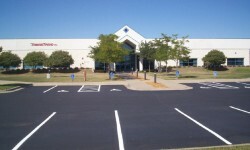 Instead of spending lots of money to replace your existing asphalt, our affordable sealcoating application may be all that your retail property asphalt needs. This sealcoating application will help prevent asphalt aging and breakdown, while also providing your asphalt with a fresh, revitalized look. In addition to effective sealcoating, our experienced team at Seal King Professional Sealcoating can also handle any asphalt repairs that you may need. Are there quite a few pot holes around your retail property? Have your customers complained about damaged asphalt on your property? Well, rather than ignoring this and causing the damage to get much worse down the road, it is time to get your asphalt repaired now. Our asphalt repair specialists are committed to completing your asphalt repairs with ease, while only causing minimal interruption to your retail property. If you’re ready to boost the curb appeal of your retail property’s asphalt without having to invest in brand new asphalt, Seal King Professional Sealcoating is the perfect partner for you. Take advantage of our asphalt maintenance services including sealcoating and make sure that your retail property asphalt is protected for years to come. 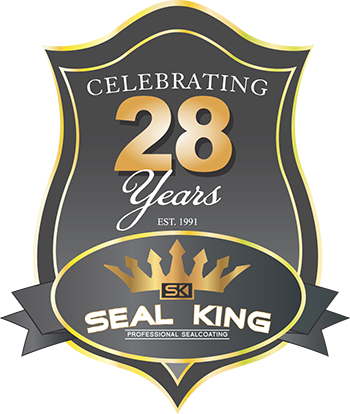 To find a Seal King Professional Sealcoating location nearest you, visit www.sealking.com today. This entry was posted	on Saturday, March 30th, 2019 at 10:48 am	and is filed under Asphalt Maintenance, Commercial Asphalt Sealcoating Services. You can follow any responses to this entry through the RSS 2.0 feed. You can leave a response, or trackback from your own site.